Riding on a motorcycle, however exhilarating and liberating it may make its rider feel, is also associated with a greater degree of risk than car driving. 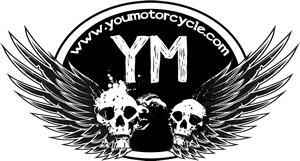 Statistics present an alarming picture – 5286 people died from motorcycle accidents in 2016 in the U.S. which is actually around 200 people more (5.1%) than those who died from the same cause in 2015. There are several reasons why these accidents happened including no license, inebriation, speeding, and no protective gear. When there is a collision between a heavy vehicle and a motorcycle, the motorcyclist may think he can easily seek money for the damages caused. However, one of the key personal injury law facts is that there is a lower probability of getting reparations if the plaintiff’s share of responsibility for whatever injuries occurred is more than 50%. Whatever be the risk associated with riding a motorcycle, there are ways to minimize it. Before discussing 5 tips, here are a few prerequisites worth keeping in mind. First, consider enrolling in a motorcycle safety course. This will especially benefit you if you’re riding for the first time because you’ll become aware of your state’s traffic laws and what to do in an emergency situation, among other things. And, if you’ve been riding for some years now, the course may come as a refresher. Besides, there may be some new pointers in the program that you weren’t aware of before. Secondly, make sure you are using a motorcycle that is suitable for your requirements and experience. Ideally, you should also aim for a model that is right for your body size and height and get it fitted with an Anti-Lock Braking System (ATS). As per information from the Insurance Institute for Highway Safety, supersport bikes are associated with a driver death rate that is 4 times that associated with standard bikes or cruisers. Are there any gas or oil leaks? Is your horn and are all the lights functioning properly? Do make sure you always have a helmet on when you ride – a full-face model is ideal. It is possible to get lightweight and comfortable models that don’t compromise on the safety quotient. Wearing quality gloves, a good jacket, and boots with oil-resistant, non-skid soles would keep you safe from serious injury. A competition weight leather jacket is best and if it is storm-proof, all the better. Additionally, consider riding glasses and earplugs to protect your eyes and ears respectively. One of the stark realities you must accept as a motorcycle rider is that your vehicle is small and accidents do happen, simply because a heavy vehicle owner didn’t see you coming. Wearing bright colours or alternatively, sticking reflective tape on your apparel can help to tide over this situation. First things first, make sure you have a valid license before you set out to drive. Secondly, don’t ever drive recklessly or in an inebriated state. Respect the laws of your state and abide by them at all times. When on hilly roads, make sure you’re in the right lane. Driving at great speed is fun but makes it all the more difficult to stop quickly when you have to. What’s more, however much you may like stunting or racing, resist the urge to practise these activities on public roads or in heavy traffic. Keep your headlights on whatever time of day it is. This has in fact been a law for US-manufactured motorcycles since 1980. Always keep your eyes focused on where you are going. Don’t let them settle on an object (such as the curb or the ground) lest you should crash into it. As you progress with your driving, you also need to cultivate the habit of looking out for an escape route. This means, supposing there is a pitfall, debris, guardrail or something else that falls in your path, you should be able to quickly change course if the situation calls for it. The daily weather forecast is a good friend to keep for the avid motorcyclist. A wet road is dangerous enough but when combined with oil, the danger reaches hazardous levels. If the forecast predicts rain, ice or snow and you absolutely must travel, consider travelling by some safer mode of transportation if you can. Alternatively, refrain from riding soon after a storm begins. If a storm hits while you’re riding, pull over at a nearby convenient stop such as a gas station and wait till the storm subsides. Prepare yourself for very hot and humid weather conditions by ensuring you are well-hydrated. Everyone who owns a vehicle has an obligation to drive responsibly on the road. 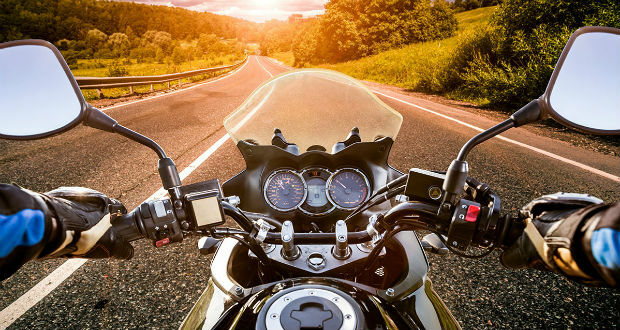 If you’re a beginning rider, you might want to start off with a used motorcycle to make sure you really enjoy motorcycling. In the initial days, it is also a good idea to do your rides in a controlled environment. Sometimes, however much care you take, accidents do happen. In such a situation, it is good to seek the help of a lawyer well-versed in the personal injury law facts in the state where you are to know your chances of getting compensated.